Pete Wallis is the senior practitioner in restorative justice for Oxfordshire Youth Offending Service. 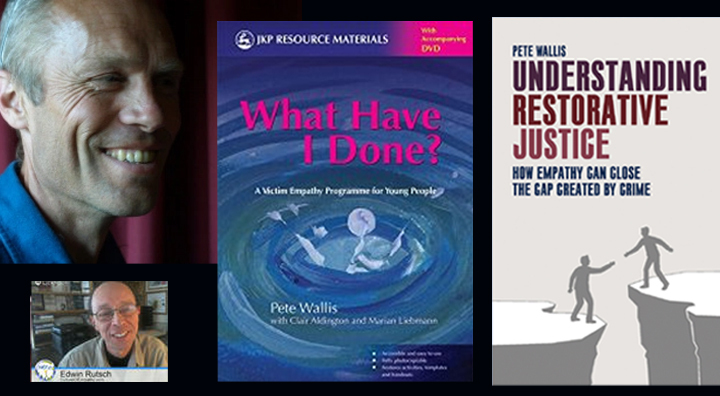 He has facilitated hundreds of restorative meetings and written or co-authored several books and articles on the subject including, Understanding Restorative Justice: How Empathy Can Close the Gap Created by Crime and What Have I Done? : A Victim Empathy Programme for Young People. In 2011 he set up a charity to support young crime victims, and he is a consultant for the new Restorative Services Quality Mark. "Victim empathy work helps them to acknowledge that it is real people that they have harmed. Empathy engenders a sense of shared experience, and an identification with and understanding of the other person's situation, feelings and motives. 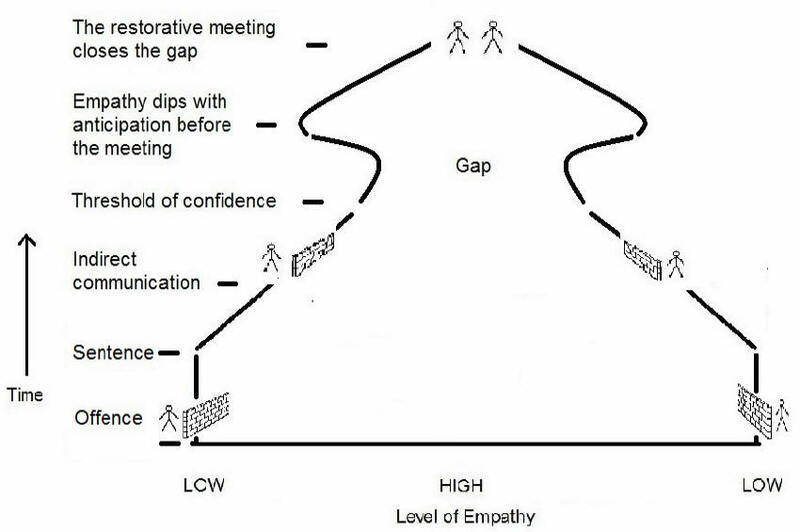 Empathy has the potential to profoundly change our interactions with one another." This book offers a clear and detailed introduction to the ways that restorative justice can be used to nurture empathy, exploring such key themes as responsibility, shame, forgiveness, and closure. It uses numerous case studies to explore the timeline of restorative justice, from an initial offense, through the criminal justice process, then into the heart of the restorative meeting and beyond. It will serve as the perfect introduction for those new to restorative justice, as well as a best practices guide for acting practitioners. "Through the following thirteen chapters, the six 'levels' of empathy are explored. At the outset the harm creates the 'gap'. Those who are hurt or are unhappy understandably focus on their suffering and it is difficult to see the perspective of anyone else. This applies as much to the person responsible for the harm as the person harmed, for, as has been suggested by others, there is arguably a link between the causes of crime and unhappiness and such unhappiness causes us to focus 'on the self'. …"
It is designed to be used directly with young people who have committed a specific crime or caused harm and distress to others through their actions, and challenges the young person to face the harm they have caused and consider what they can do to help put things right.